Keep only those things that speak to your heart. Then take the plunge and discard all the rest. By doing this, you can reset your life and embark on a new lifestyle. I love my Fujifilm X-Pro2. I hate my Fujifilm X-Pro2. Let me go back to the beginning and explain. I’ve been a full time wedding photographer in North East England for over four years. In that time I’ve photographed almost 100 weddings in Newcastle upon Tyne, Northumberland, Durham, Yorkshire, the Lake District and beyond. When I started out I used Canon DSLRs. I quickly found that there was a big difference between the gear I thought I needed and the gear I really needed. First I ditched the zooms in favour of primes. Out went the 24-70mm and the 70-200mm and in came the 35mm and 85mm. Next I looked to unify my camera bodies, so that they were both the same sensor sizes. I looked to mirrorless cameras to replace them. I wanted smaller camera bodies, cheaper camera bodies and the latest technology. My Canon 5d mkiii and Canon 550d had to go. I wrote a blog post about my dilemma 3 years ago - DSLRs versus mirrorless cameras for wedding photography. After some deliberation I sold all of my Canon cameras and replaced them with Fujifilm cameras and lenses. I bought the Fujifilm X-T1 camera body first along with the 18mm lens which I picked up second hand very cheaply. If I’d just stuck with this combination I might have jumped straight back to Canon, as I was a little disappointed. Although the image quality was occasionally stunning, I struggled with a lot of things initially. The shutter speed maxed out at 1/4000 which meant that I found it difficult to shoot wide open in good light. The electronic shutter helped occasionally but couldn’t be relied upon all the time due to the rolling shutter that distorted some images. The autofocus sometimes couldn’t keep up with moving subjects. Between the camera and the lens I missed too many shots. And I really couldn’t settle on a consistently good editing style for the RAW files in Lightroom. Three years later and I’m happy to report that a lot of the problems I had were with me rather than the gear, and I later grew to have a grudging respect for the rugged little X-T1. 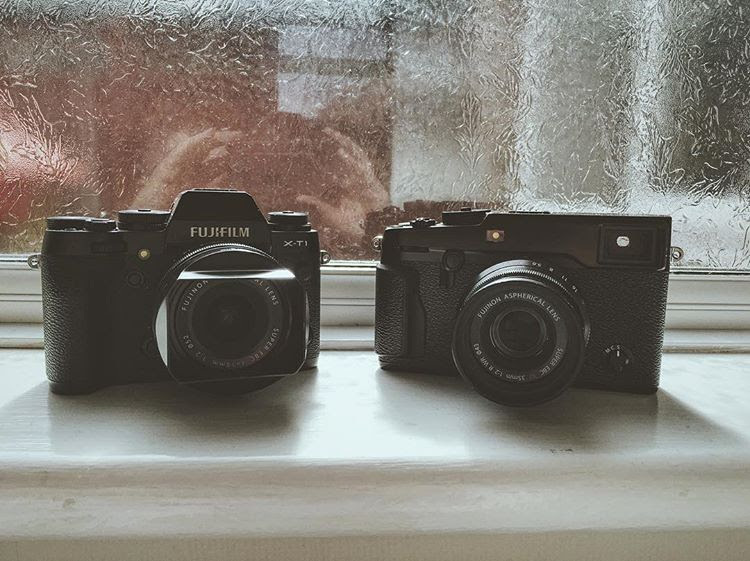 One day I’ll write the Fujifilm X-T1 it’s own blog post. Around that time the X-Pro2 was released, so I abandoned my plan to buy a second X-T1, and my backup plan of rebuying my Canon gear, and instead invested in the Fujifilm X-Pro2 and the 35mm f2. I immediately fell in love with this rangefinder style mirrorless camera, and the titchy 35mm f2 is still my most used lens. I had thought that the X-T1 style camera would be an easier transition from DSLR cameras for me because of the body style, with the faux mirror hump in the middle of the camera, but I was dead wrong. The X-Pro2 just felt right in my hands immediately. I learned photography on film cameras, and in particular on the Olympus OM20. Incidentally I now own an Olympus OM1 as I am getting back into film photography. When I say I learned photography on this camera, I mean that I made significant jumps in my ability and knowledge of technique while using this camera with a 50mm lens. I learned about depth of field and how that interacted with the lens aperture, what ISO was (ASA film speed back then), and also how shutter speed affected the final image. Everything had to be done manually on the camera using dials and the aperture ring on the lens. The Fujifilm X-Pro2 felt just like a film camera. The exposure triangle could be altered using the dials on the camera without even having it switched on. Even the lenses had aperture rings! Being able to switch between the OVF (Optical View Finder) and EVF (Electronic View Finder) also helped enormously. This is something pretty much unique to Fujifilm X-Pro and X100 series cameras. Using the OVF was similar to looking at the world through my 5Dmkii pentaprism, but with the added benefit of frame lines so that I could see what was going on outside my frame. I found that this was ideal at weddings for reception times when I was taking candid, unposed photographs. I could set up the composition then watch for people entering the frame and take the photo at the precise moment. I had the bottom right of the OVF set up with a miniature EVF to check my focus. The OVF is also great for low light photography where you can switch off the EVF and simply see the available light, or for flash photography where the EVF won’t give you an accurate idea of what the final photograph will be anyway. Speaking of the EVF, as time has gone by I’ve found that I use this more and more. It’s one of the primary reasons why it’s hard to go back from a mirrorless system to a DSLR. Seeing exactly what your image will look like in camera before you press the shutter button is revelatory compared to the DSLR process of dialling in your settings, firing off a test shot, chimping the LCD on the back of the camera, adjusting your settings then taking the shot. With the X-Pro2, I rarely check the LCD afterwards as I know I have the shot when I press the shutter button. This has lots of profound effects on how I photograph a wedding. For one, I focus less on technical camera settings and more on the non-technical elements of my photograph - the light, the moment, the composition. With the X-Pro2 I usually have my metering mode (Fujifilm call this photometry) set to spot, rather than the safer centre-weighted or multi. This is because I can see how the camera has metered for the scene as I hold it up to my eye, and if it’s not quite right I can thumb the exposure compensation dial until it’s where i want it and capture the shot. I ride that exposure compensation dial all day at every wedding! It means that I can capture scenes with a wider dynamic range effortlessly. I can incorporate deep shadow and bright highlights in one image with total control over what I want exposed. I used exposure compensation a couple of times on my Canon but couldn’t ever get used to it. And I’d always forget I’d used it then wonder why all my shots were over or under exposed! On my Canon I’d shoot in AI servo with back button focusing. Separating the focus and shutter activation of the camera was a massive step for me and helped out at weddings considerably. At first I tried to replicate this in my Fujifilm cameras and had poor results, so I struggled to get on with the mirrorless cameras, especially with the X-T1. With the X-Pro2, though, I made a conscious decision to relearn my technique from the ground up. Rather than fighting against the camera and forcing it to act like my DSLR had, I went with the camera and experimented with different ways it could be used. So my wedding day set up is to have my ISO and shutter speed set to auto with a range of 200 to 6400 with a minimum shutter speed of 1/125th. I have the bottom D-pad set to quickly cycle between this, a low light setting (Iso 800 to 12800, 1/60th) and a fast action setting (ISO 200 to 3200 minimum shutter 1/500th). I’m effectively using the camera in aperture priority mode, and using the exposure compensation dial to make any settings changes. At any time I can override the settings on the camera by moving a dial. Most often this is the shutter speed dial, but handily the ISO is a sub dial within this if I want to change that too. This combined dial is something that some people hate and some people love. I’m somewhere in the middle. It’s neat and handy most of the time, but especially as I’ve started taking more portraits with off camera flash at night I’ve found it a bit fiddly. I still can back button focus if I need to by shifting the mode dial from single shot to manual and then hitting the af-l button on the back of the camera. I have the focus peaking lines set to red so that they stand out against the black and white image. This brings me to my next set up trick - I shoot with the black and white film simulation most of the time at a wedding. As I am shooting in RAW it doesn’t affect the final files (although I often shoot in RAW + JPG). What it does is help me see the light better. It’s easier to see the composition, the contrast in a scene and focus on what is important with the distraction of colour. I have experimented with delivering in camera jpgs for weddings and it’s totally doable with Fujifilm. This is something I could never achieve with my old Canon camera. As I prefer an analog feel to my photographs - I don’t want to emulate film exactly, but I do like that feel and mood - I tend to use RAWs edited in Lightroom with heavily tweaked presets or my own concoctions. I am currently playing with the in camera film simulations again to see whether I can emulate the feel I am seeking. Fujifilm added film simulation bracketing in a firmware update which means I could should 3 film simulations and RAW at a wedding. If I could get the jpg files to look the way I’d like, it would mean I could shoot a colour and black and white jpg, then have the RAW as a backup if required (I’d simply bin the third film simulation - I wish there was a way to turn this off). I typically only use continuous shooting mode twice during a wedding. Once is for the aisle shots as bridesmaids and the brides arrive at the front of the ceremony room to meet their groom, and the other is for confetti shots. I’ve found that the X-Pro2 focusses more than quickly enough for the average wedding day and virtually all of the continuous shots are in focus. The 56mm f1.2 hunts the most of all the lenses I have, but even that is reliable enough to take shots of the bride coming down the aisle (providing the aisle is long enough!). One of my favourite things about the Fujifilm X-Pro2 for wedding photography is how small, quiet and discrete it is. With my Canon cameras, and especially the 24-70 and 70-200 lenses, I experienced something I call ‘meerkatting.’ I’d be observing the room, see the possibility of a shot and raise the camera to my face only to have everyone crane their necks and turn to face the camera. It spoiled the moment and I often didn’t get the shot. The X-Pro2 is small, especially with the 18mm or 35mm f2 on it. At most weddings I have guests with bigger cameras than mine. Instead of standing on the sidelines sniping shots of the guests I get in amongst the guests and shoot up close. I’m much more like a guest with a camera than a traditional wedding photographer. The X-Pro2 is a discrete, unassuming black box and doesn’t have a front facing logo. I’ve even taped up the logo on the top plate so that there is less of a distraction. Being the minimalist that I am I don’t add anything to the camera. No soft shutter releases, no thumb grips, no battery grips. I keep things nice and simple. All I’ve done is replaced the Fujifilm strap with a Peak Design Slide Lite strap. I arrived at owning those four lenses after using virtually every Fujinon lens including the Fujinon XF16mm F1.4 R WR, Fujinon XF56mm F1.2 R APD, Fujinon XF60mm F2.4 R Macro, Fujinon XF16-55mm F2.8 R LM WR, Fujinon XF50-140mm F2.8 R LM OIS WR, and several others. On a typical wedding day I use the 23mm and 56mm, one on the X-Pro2 and the other on the X-T1. If I feel like something different I use the 18mm and 35mm. Given the characteristics of the X-Pro2, small, quiet, discrete, it’s no surprise that their users often favour no or minimal flash at weddings. That’s certainly my philosophy. I’ll write a further blog post going into my journey with flash equipment using Fujifilm cameras so I’ll just summarise my gear here. I kept my Canon and Yongnuo flashes from my Canon days for the first couple of years because they all still worked fine for my needs. 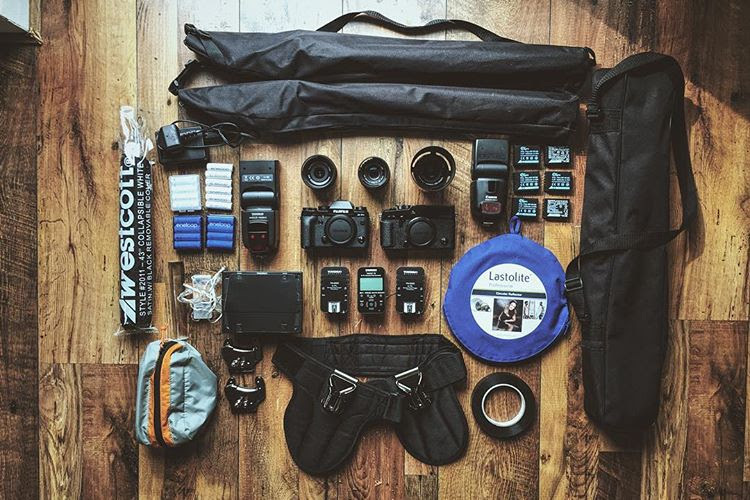 In 2018 I decided I wanted to slim down my gear following a city wedding where I had to lug all of my gear up a very steep hill for a long distance back to my car. I now use two Godox tt350f flashes with an Xpro-F TTL Wireless Flash Trigger. They are small, cheap and do the job perfectly. One of the reasons I chose to go with a Fujifilm camera system over say an Olympus camera system, is that I felt that with Fujifilm I was making an investment in my gear. Fujifilm releases frequent firmware updates for it’s cameras - my X-Pro2 is on version 5.00 as I write this. It’s a Japanese business philosophy that encourages the company’s workers to make constant changes for the better. It’s in stark contrast to how Canon treats its customers and cameras. Unless there is a major failing with a camera it is left as it was upon release, and improvements are only made to new models. I can understand how this can be a profitable tactic for the company because it effectively forces customers to buy the latest cameras. Since its release in 2016 the X-Pro2 has had a major video update, allowing it to go from shooting 1080p to shooting 4k video. It’s also had numerous improvements to its auto focus performance, flicker detection has been added, as has the film simulation bracketing I mentioned earlier. It can now shoot tethered. What this does is extend the life of the X-Pro2 - it’s features and abilities grow and improve as you grow and improve as a photographer alongside the camera. To sum all of that up then, the Fujifilm X-Pro2 sparks joy for me because it is light, discrete, has the OVF and EVF, it has frequent firmware updates, has great files straight out of the camera and has a good selection of lenses. Plus it is a reasonable price! It hasn’t all been plain sailing with the X-Pro2. While it feels solid in the hand and I have used it to shoot over 150,000 photographs in two years, it does remind me of Trigger’s broom. The first minor problem I noticed was with the eyepiece diopter. It’s situated on the outside left of the camera, meaning it’s in the perfect position to get knocked when removing it from a bag or simply rubbing against your clothes while it’s dangling from a strap. You bring the camera up to your eye and wonder why it can’t seem to achieve focus, then you realise it’s because the diopter has shifted and you need to adjust it. It happens so often now I’ve become used to it, but I’d love to see a lockable diopter on the X-Pro3. The first serious issue I had was with the eyecup falling off. Fortunately I found the eyecup in my camera bag and stuck it back in but it didn’t stay there for long. I was reluctant to glue the eyecup back in because the camera is weather sealed and I didn’t want to make it more vulnerable to the weather. I am a wedding photographer in North East England after all! I also didn’t want to somehow fog the eyecup glass. The Fujifilm X-Pro2 is weather sealed against the North East weather! The camera was within warranty so I sent it back to Fujifilm and they replaced it. Within three months a similar thing happened but this time half of the eyecup stayed on the camera and the other half disappeared. Now I don’t baby my camera gear at all, it’s a tool to be used, but I do look after it and I simply couldn’t conceive of how this occurred. Again I sent the camera back to Fujifilm and again they repaired it for free. This was great, other than the hassle of being without the camera while it was being repaired. Trying to find a convenient time to send it away between wedding and engagement shoots was tricky. One of the most frustrating aspects of this whole issue, and what turned it into a major worldwide talking point was that Fujifilm gave out inconsistent help and advice to fix the eyecup. The correct procedure was to send the camera back to Fujifilm for repair but in some countries Fujifilm posted out a replacement eyecup to users. I think that this was done for the right reasons but the inconsistency upset lots of people. Whatever the latest fix Fujifilm made was, it worked, as I haven’t had any issues with the eyecup dozens of weddings and engagement shoots later. The next major issue came just over two years after I bought the camera. I clean the camera and lenses before every shoot. This includes using a blower to get any dust and grit off the sensor and one day I noticed a ‘burn’ on the outer edge of the sensor. It was something I had come across before on the X-Weddings - 100% Fujifilm & 100% wedding photography Facebook group. I’d also heard of it on film cameras. Typically if you set the camera up in a fixed position, on a tripod for example, or the lying on a car seat, and the sun hit the lens at the right angle it could focus the light into a tight area and burn a hole in the shutter in front of the film. On a mirrorless camera the burn would be directly on the sensor. However, I don’t shoot that way. I rarely use a tripod and never when photographing people. My previous shoot had been an engagement in a wooded area. The other Fujifilm examples I’d seen were all at the edges of the sensor, leading me to believe that there was a different issue, perhaps an electrical fault causing an overheat in the body. I can confirm, the sensor has been replaced. The sensor filter had a sunlight burn mark, this was probably caused while exchanging the lens when the camera was pointed upwards to the sky, hence exposing the sensor filter to direct sunlight. Please ensure when changing the lens that the sensor is not exposed to direct sunlight. I really can't believe this is the case. I shoot on two bodies and found the 'burn' after an engagement shoot where I didn't ever take the lens off either camera! Even when I do change the lens I have the camera pointing down so that any dust or debris falls out of the camera. It knocked my confidence in the X-Pro2, which up till then had been my favourite ever camera. My Fujifilm X-Pro2 is my main camera and I depend upon it heavily when photographing weddings, engagement sessions, kids portraits as well as my personal work. With my confidence shaken I was seriously considering whether this camera was up to the task of being a professional workhorse. My fears were largely allayed when Fujifilm set up it’s professional service (FPS). I joined immediately I could. FPS guarantees that they will make repairs within three working days. They’ll send you a loan camera if the repair will take longer. They also discount repairs over the general public. There is no cost to sending gear back and forth. Finally the offer free annual healthchecks. Having services such as FPS is a sign that Fujifilm is maturing as a camera company and expects it’s mirrorless cameras to be used in professional settings. I had an opportunity to test out FPS when my X-Pro2 shutter failed at a wedding. I had noticed an issue earlier in the day during bridal prep when the shutter would sometimes fire twice with only one press in single shot mode. As the day wore on it got worse - sometimes firing three times, four times, more. When I had the chance to take a break I took a look at the sensor a saw that the shutter was hanging in front of the sensor. My images were fine, but there was clearly a serious problem. I got through the group shots and then the shutter died completely as we finished the couples portraits. It’s for scenarios like this that professional wedding photographers have backup cameras. I smoothly switched to my X-T1 for the rest of the night and nobody knew there was an issue. Indeed, I often photograph the evening using just a single body with a wide, fast prime anyway. For the dancing I usually use the X-T1 with an on camera flash and drag the shutter. The fold out LCD is handy for unusual angles and in the carnage of the wedding dance floor it matters less if I get bumped and jostled. There was a bank holiday then the following weekend I was due to shoot three weddings in four days in Yorkshire, Northumberland and Edinburgh. I packed up the camera and sent it off on the Tuesday morning. It was back in my hands repaired on Thursday afternoon. The service and turnaround was superb. It cost £175. 2019 will be the fourth year that I have used the X-Pro2 as my main wedding camera. I love that little camera and I have learned how it functions inside out so that I no longer have to think about it. All the technical considerations have disappeared and I now just think about the photograph I want to capture. My fingers automatically move to make the changes to settings I need without me having to take my eye away from the camera. I can’t recommend the X-Pro2 as a wedding camera to others - that’s your own journey to take and decision to make. For me, though, it’s practically perfect in every way. One day the camera will completely fall apart and I’ll have to decide on replacing it. Ideally I’d love an X-Pro3. Perhaps one with a lockable diopter, indestructible eyecup, burn free sensor and longer lasting shutter, along with all the usual improvements in new cameras, such as increased dynamic range, better auto focus, and the rest. 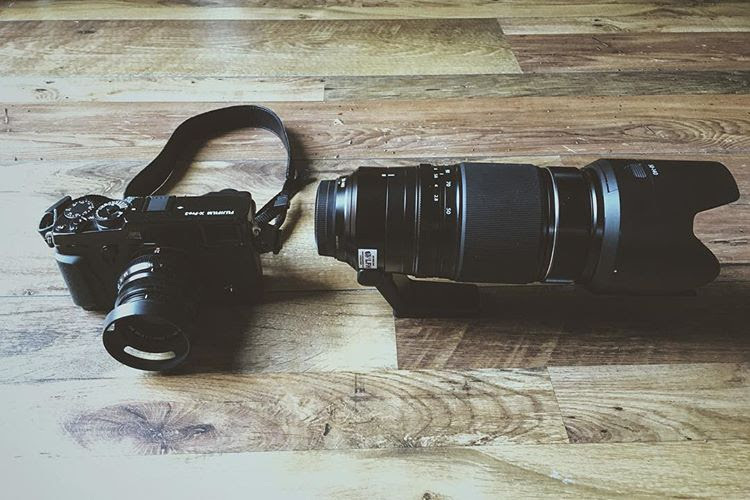 If an X-Pro3 doesn’t exist by then I’ll take another X-Pro2 please. It sparks joy for me in a way that no other camera has.